This award-winning variety is like nothing we've seen before. 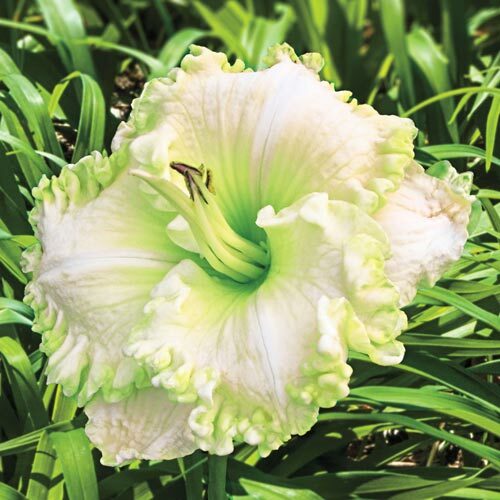 Ample, 5¾" flowers of creamy white have a delicate, soft green tint with a darker green, ruffled edge. It flowers in midsummer—and reblooms again in late summer. Evergreen grass-like, long, linear foliage. Top of plant even on soil level.